The following is a debt settlement letter for HSBC Bank. In the letter, you can see the final negotiated resolution where the client saved 60%. 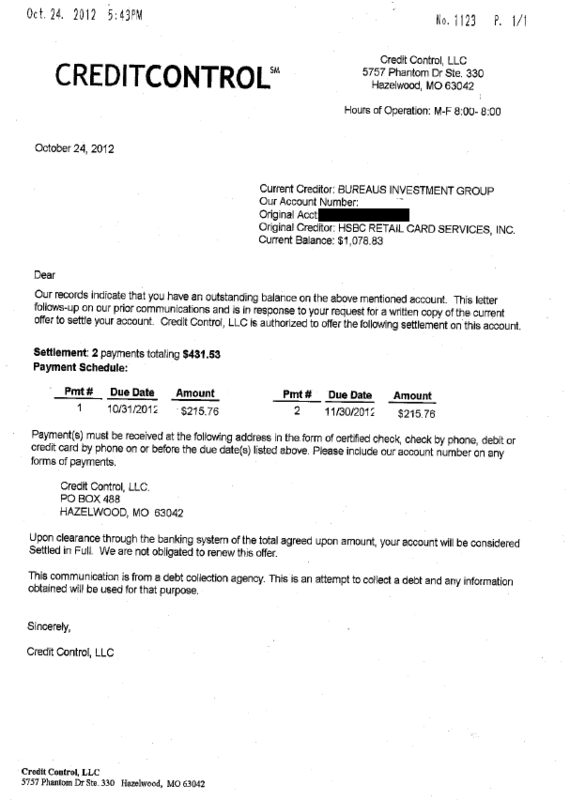 They paid back only $431.53 on the balance owed of $1,078.83.